Sunday 8th November 2015, marked Remembrance Sunday. 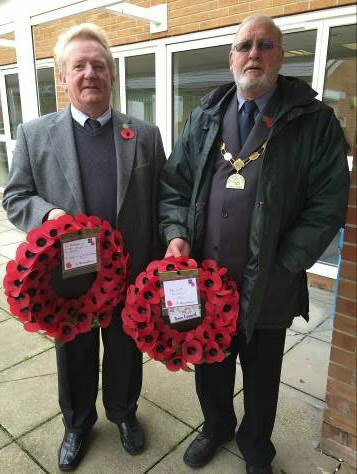 Councillors attended a Remembrance Service held in the Town Centre and observed a two minute silence. The Town Mayor, Councillor Roger Avenin; laid a wreath on behalf of the Bradley Stoke Town Council. Councillor John Ashe, also laid a wreath on behalf of South Gloucestershire Council. The Town Council would like to recognise the work undertaken by all those involved. to be laid at the Service. Photograph courtesy of Councillor Franklin Owusu-Antwi.